Visiting Nature & Wildlife Tours and Saariselka Ski & Sport Resort will get you outdoors. 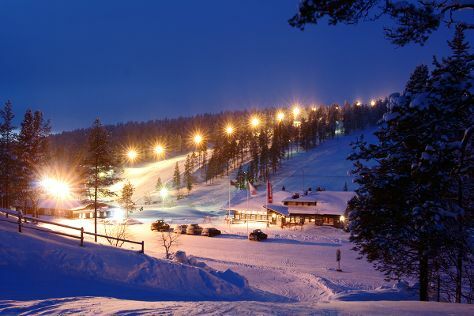 Explore Inari's surroundings by going to Saariselka (Action Park, Urho Kekkonen National Park, & more). Spend the 6th (Wed) exploring nature at Lemmenjoki National Park. To find traveler tips, where to stay, photos, and more tourist information, read our Inari trip itinerary builder website . In March, daytime highs in Inari are -1°C, while nighttime lows are -12°C. Finish up your sightseeing early on the 9th (Sat) so you can travel back home.